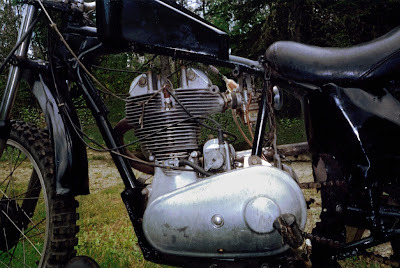 Back in July, Denis Gagne of Maine told us about his father Jerry's exploits on an Indian hillclimber powered by a Big Head Royal Enfield motor. At the time, Denis didn't have pictures to show us, but recently he sent me a treasure trove of photographs. 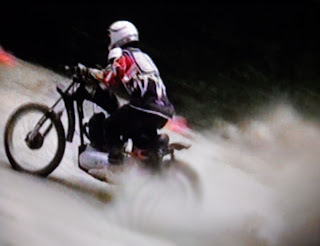 He sent color shots of the motorcycle as it looks today, and black and white photos of his dad in action. There's even a DVD of the 1994 documentary Indian Summer, a Fiasco Films feature about Indian motorcycles by Timothy Cataldo. 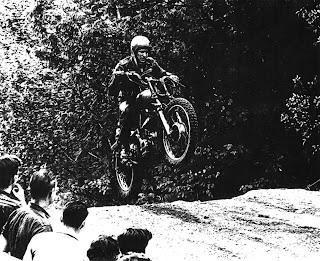 It includes takes of Denis' son Bruce talking about the hillclimber and then riding it. "My father bought this bike, around February, 1959 from an Indian dealer in Springfield, Mass called Albert Thibodeau (Tibby's Indian Sales). "In the show room there were other bikes — Westerners, Woodsman, Apaches — and three motors in their crates. "(The dealer) told my father, Jerry, if he wanted to build a hillclimber, the crate motor would be the better choice over all models, because it was a race tuned engine, special from the factory. "So he bought the crate motor for $200 and, during that winter, he and his cousin Gates Pinsonnault built a hillclimber with that motor. They started hill climbing it in the summer of 1959. "It was No. 1 in the 500cc class for over 12 years! 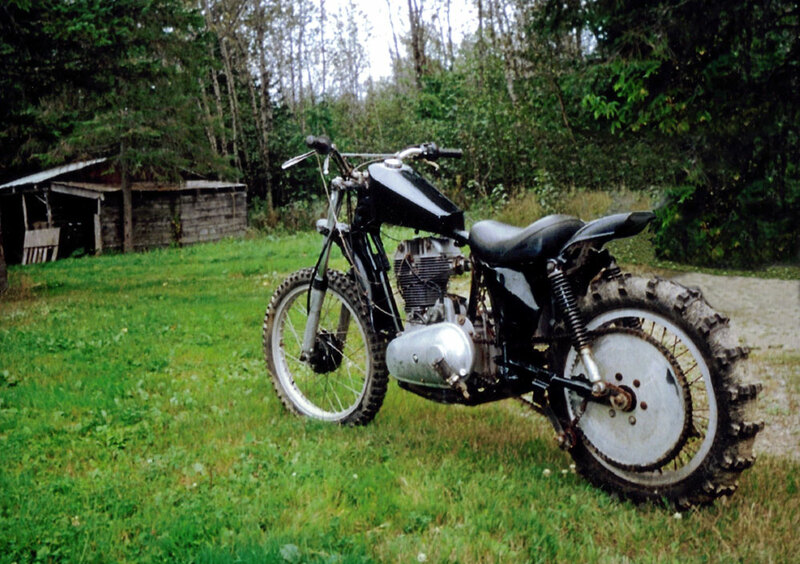 It was faster than others that came along; BSA, Matchless, Triumph, Woodsman, Westerner, etc. All the newer bikes. Bruce rides the Big Head hillclimber in "Indian Summer"
"Around 1971 my dad quit hill climbing and the bike retired. Around 1988 the bike was brought out by me and restored to running condition. Although it is not competitive with today's machines, I just wanted to keep the bike alive and the memories to go on. 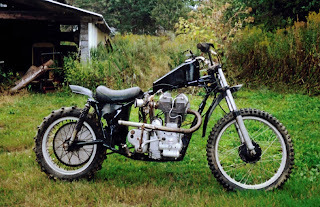 This motorcycle was an important part of my father's life and (the source of) a lot of memories in my life. "I didn't want this special machine to be forgotten."